The Old Carbonear Post Office is considered one of the finest and best-preserved examples of Second Empire construction style. It is also an excellent example of a turn-of-the-century government building. The post office is an excellent example of the Second Empire style employed in an early 20th-century government building. The post office was built in 1905 on Water Street to replace a slightly larger post office that burned down in 1904. The new building served as a post office, customs house and welfare office. In 1957 the building was closed when a new post office was built further up Water Street, and it went through several owners, including the Town of Carbonear and Earle Freighting Services. It also served as a branch office for the Canadian Imperial Bank of Commerce until 1979. It was then used as an artist's studio and briefly as a craft shop. 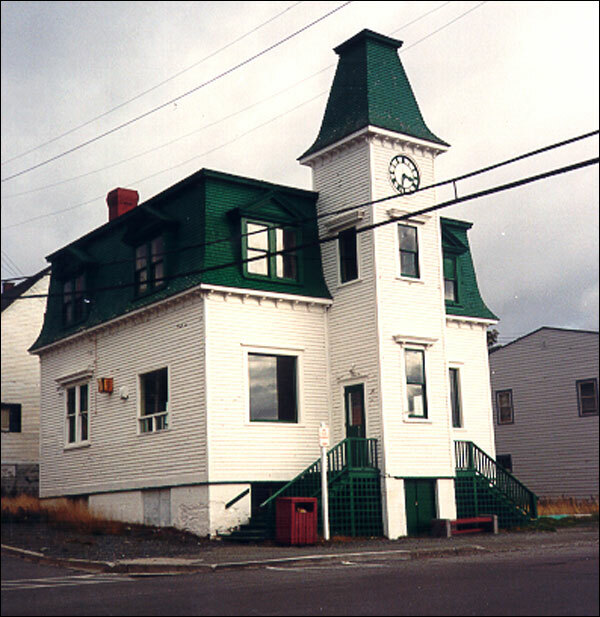 The Post Office served as a focal point for the town of Carbonear for more than 50 years. Along with being one of the most important buildings in the town, it also has a link with a woman who never saw it. Tryphoena Nicholl is revered as Carbonear's greatest heroine. During the fire in 1904 that burned down the first post office, Nicholl, the postmistress, sacrificed her life trying to rescue people trapped inside the building. In honour of her memory, a fountain was built in front of the new post office. It was later moved to Memorial Park. The Old Post Office is characterised by a mansard roof with dormers and a distinctive clock tower. It is a simple, elegant wooden building with classic elements such as eaves brackets and heavy wood mouldings on all windows. While some alterations have been made over the years, including new windows and doors, the exterior remains almost identical to what it was when it was first built. The Old Post Office became a Registered Heritage Structure in June 1988. Also view the Old Carbonear Post Office Registered Heritage Structure on the Heritage Foundation of Newfoundland and Labrador web site. The Newfoundland and Labrador Heritage Web Site has on its site only a portion of the registered heritage structures in Newfoundland and Labrador. To view a complete list or search for a particular structure visit the Heritage Foundation's Property Search page.